Hawk Performance has dominated Motorsports race tracks for more than 15 years, offering highly-engineered friction products for nearly every type of racing! Intermediate initial bite, increased mid Mu characteristics, and low to mid-temperature range. 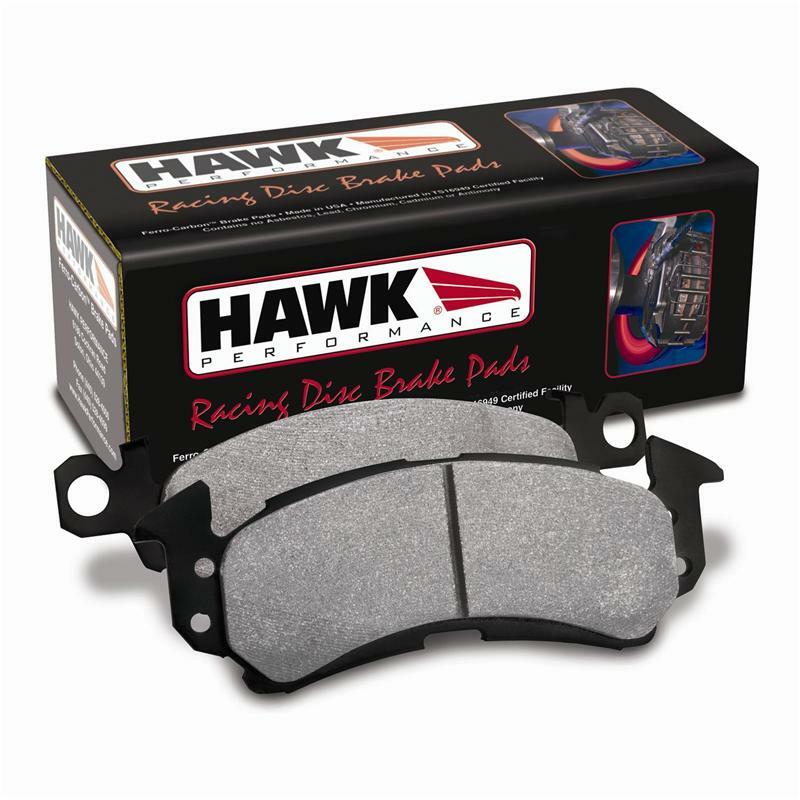 Medium torque and temperature compound designed to be a good, all-purpose low- cost racing brake pad. cient of friction. Smooth linear torque. Low pad and rotor wear. 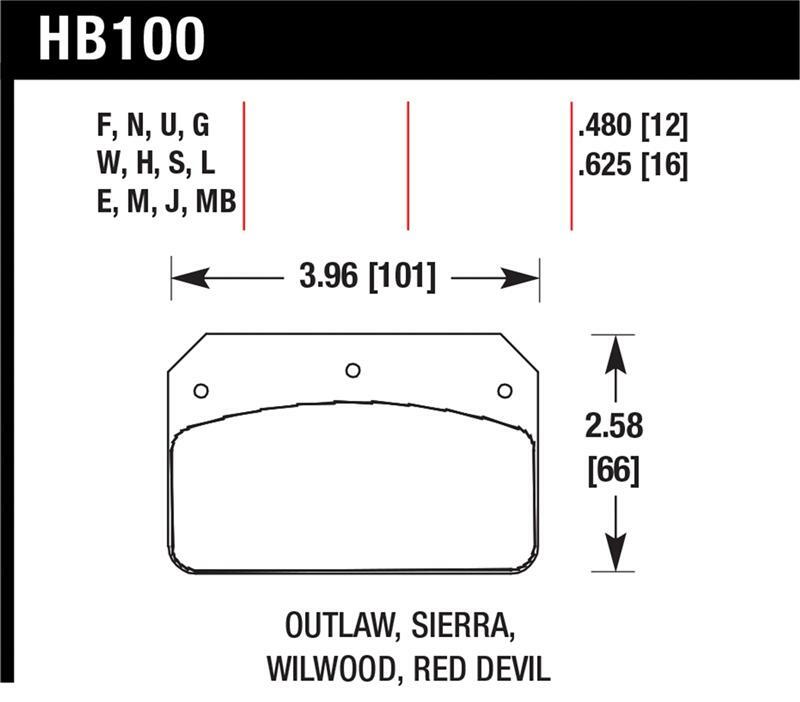 For use in drag racing. Medium/High torque and temperature compound with medium/high initial bite. 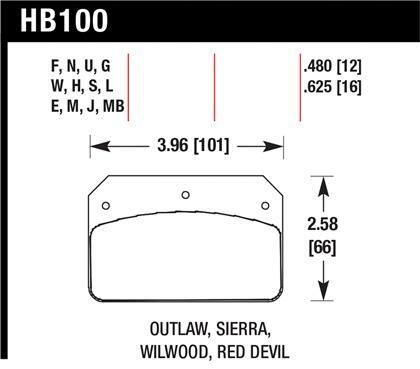 For circle track cars under 2800 lbs without high deceleration rates. 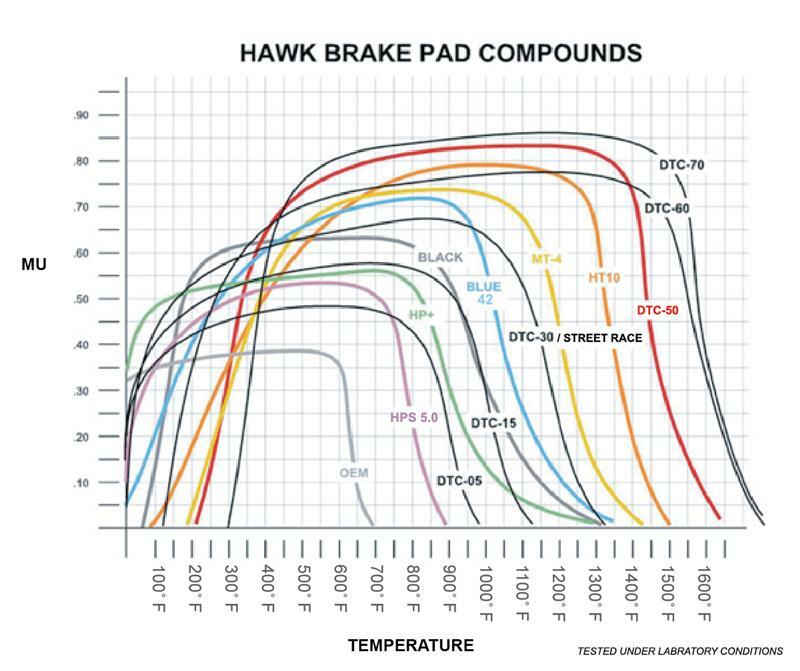 High torque with linear in-braking characteristics across temperature ranges, allowing the driver to brake harder, longer without sacrificing the life of the pad.